As a newer route, it is more remote and arguably more beautiful, but a bit longer and slightly more expensive. It starts on the Western side of the mountain at the Londorossi Gate, which is a further drive from town, and was introduced as an alternative to the Shira route. 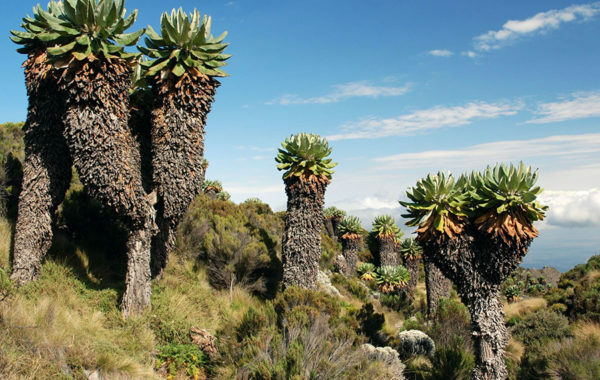 After beautiful forests and moorlands it crosses the Shira Plateau on day 3 to connect with the Machame Route at Lava Tower and down towards Barranco Valley via the Southern Circuit. You may be lucky enough to see buffalo, elephant and other game. 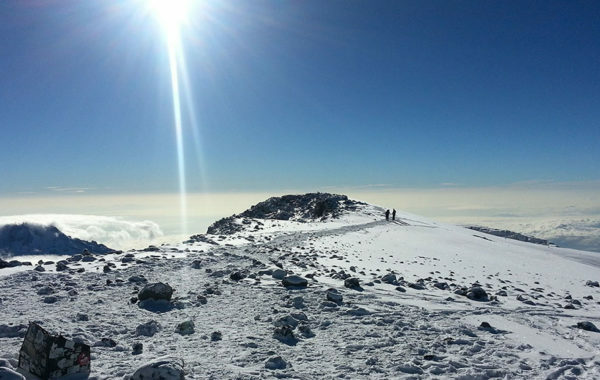 Because this route can be done over a longer period of time for acclimatization, it has a higher success rate of summit. Upon arrival to Kilimanjaro International Airport, you will be met and transferred for overnight accommodation at Kilimanjaro Wonders Hotel 4 starsB&B. Your head guide will meet you for your briefing, gear check and arrange for you to hire any equipment you may need. Departing from Moshi a 45-minute drive will take you through welcoming mountainside villages to the Kilimanjaro National Park Gate. We will patiently wait for our permits to be issued while watching the hustle and bustle of operations as many crews prepare for the journey ahead Enjoy the beautiful rainforest scenery and windy trails while your guide tells you about the local flora and fauna and natural wildlife. At these lower elevations the trail can be muddy and quite slippery. We highly recommend gaiters and trekking poles here. 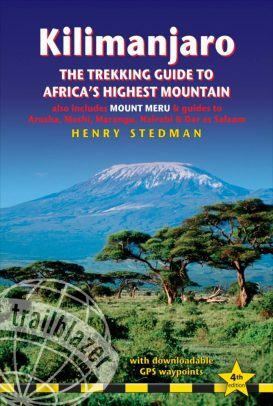 After a good nights sleep and a hearty breakfast we emerge from the rain forest and continue on an ascending path, we leave the forest behind now, the trail climbs steadily with wide views to reach the rim of the Shira Plateau. Temperatures begin to drop. Although you end the day around the same elevation as when you began, this day is very important for acclimatization. 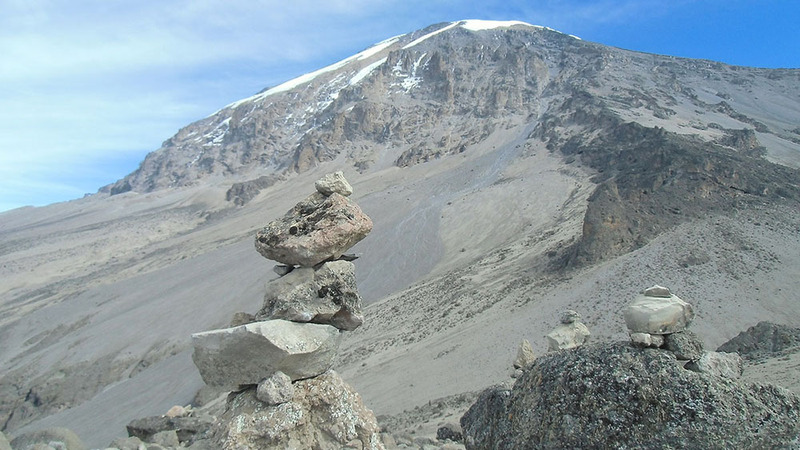 From Shira Plateau we continue east up a ridge, passing the junction towards the Kibo peak before we then continue, South East towards the Lava Tower, called the “Shark’s Tooth” (elev. 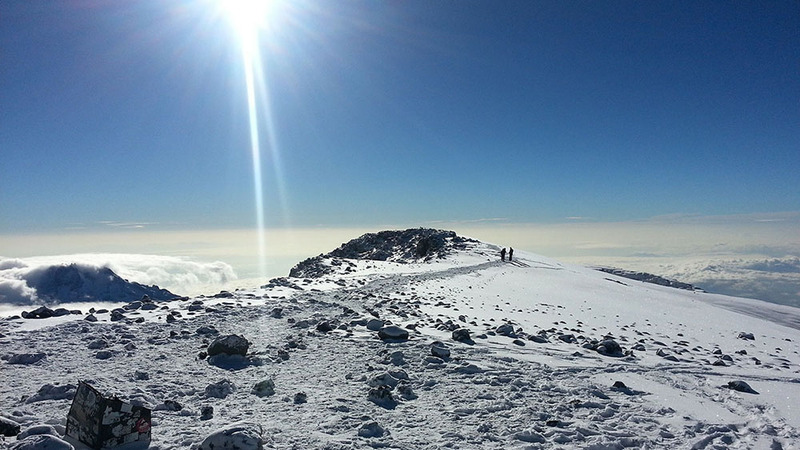 4650m/15,250ft). Shortly after the tower we come to a second junction, which leads to the Arrow Glacier. 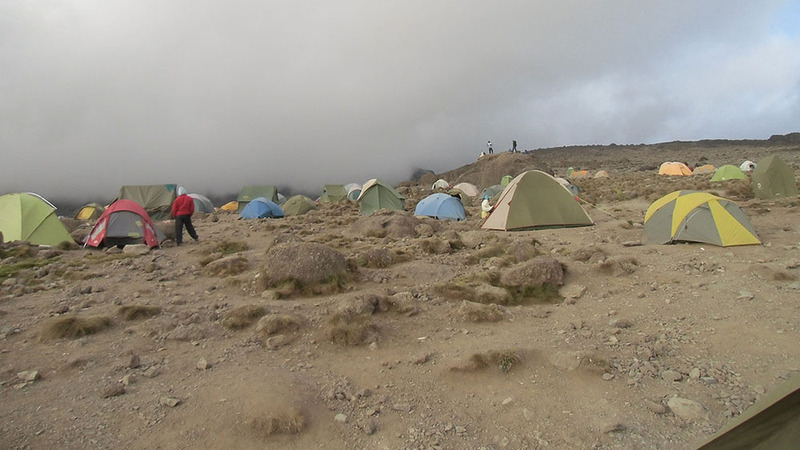 We then continue to descend to overnight at Barranco Camp. 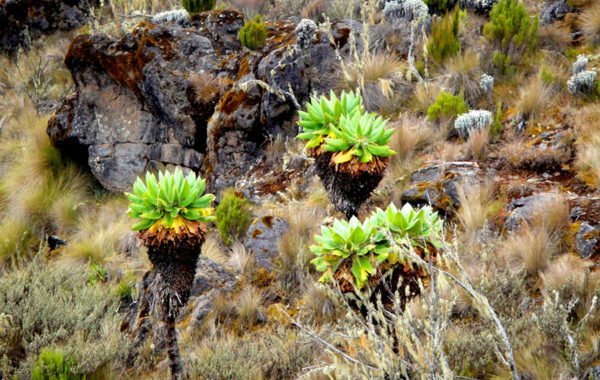 After breakfast, we continue on a steep ridge up the adventurous Barranco Wall to the Karanga Valley and the junction, which connects, with the Mweka Trail. This is one of the most impressive days to see the power, agility, and strength of your crew zip over this wall with what appears such ease. Overnight at Karanga Camp. 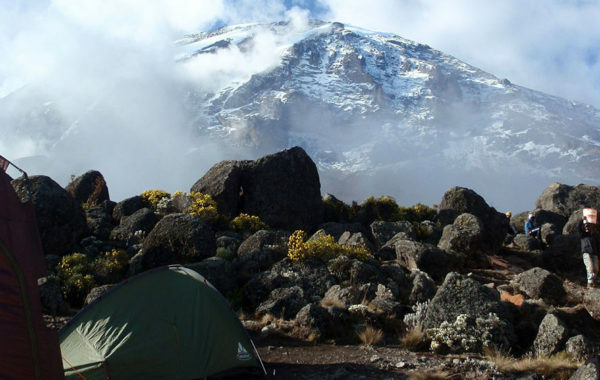 We continue up toward Barafu Camp, and once reached you have now completed the South Circuit, which offers a variety of breathtaking views of the summit from many different angles. An early dinner and rest as we prepare for summit night. 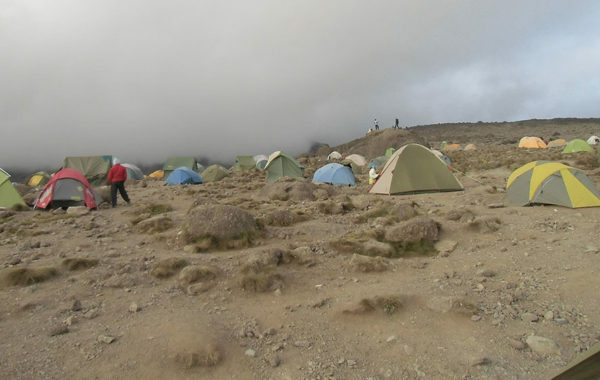 Overnight at Barafu Camp. Excitement is building as morning comes with an early start between midnight and 2 a.m. 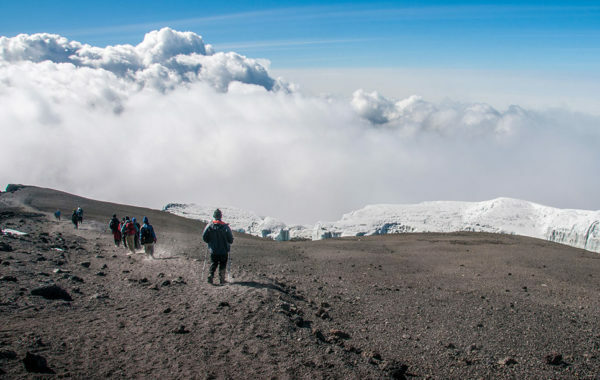 This is the most mentally and physically challenging portion of the trek. We continue our way to the summit between the Rebmann and Ratzel glaciers trying to stay warm and focused of the amazing sense of accomplishment that lies ahead. With a switchback motion in a northwesterly direction and ascend through heavy scree towards Stella Point on the crater rim. You will be rewarded with the most magnificent sunrise during your short rest here. 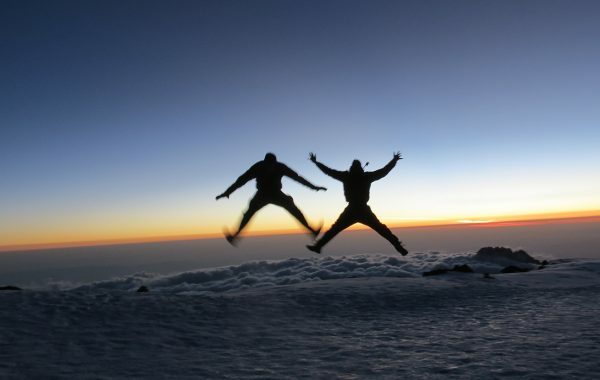 Faster hikers may view the sunrise from the summit. 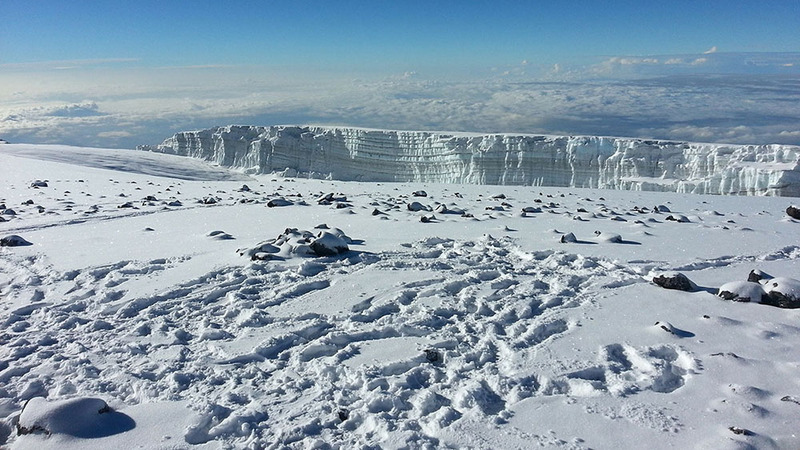 From here on your remaining 1 hour ascent to Uhuru Peak, you are likely to encounter snow all the way. 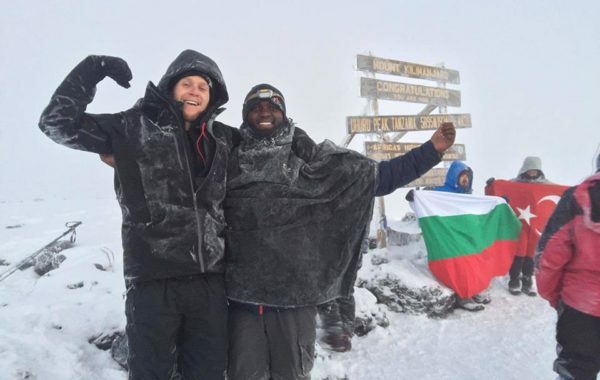 Congratulations, one step at a time you have now reached Uhuru Peak the highest point on Mount Kilimanjaro and the entire continent of Africa! After photos, celebrations and maybe a few tears of joy we take a few moments to enjoy this incredible accomplishment. 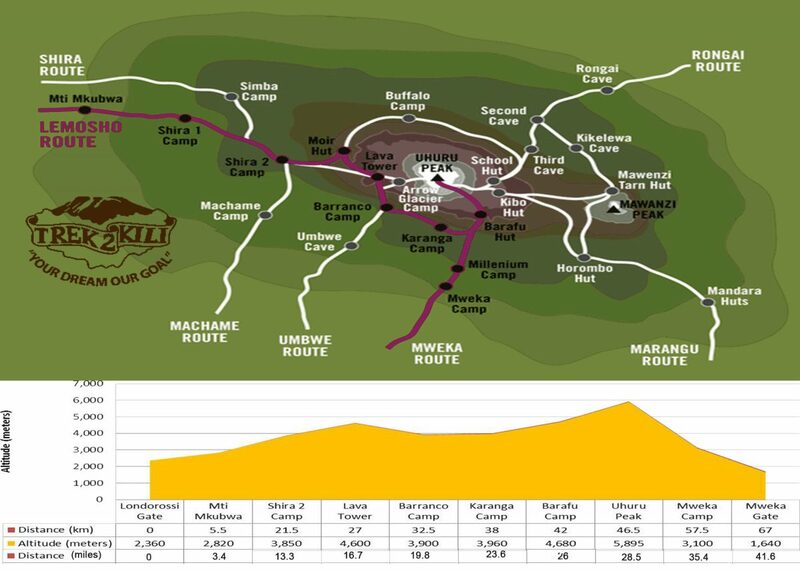 We begin our steep descent down to Mweka Camp, stopping at Barafu for lunch and a very brief rest. We strongly recommend gaiters and trekking poles for uncooperative loose gravel and volcano ash terrain. Well-deserved rest awaits you to enjoy your last evening on the mountain. Overnight Mweka Camp. After breakfast and a heartfelt ceremony of appreciation and team bonding with your crew it’s time to say goodbye. 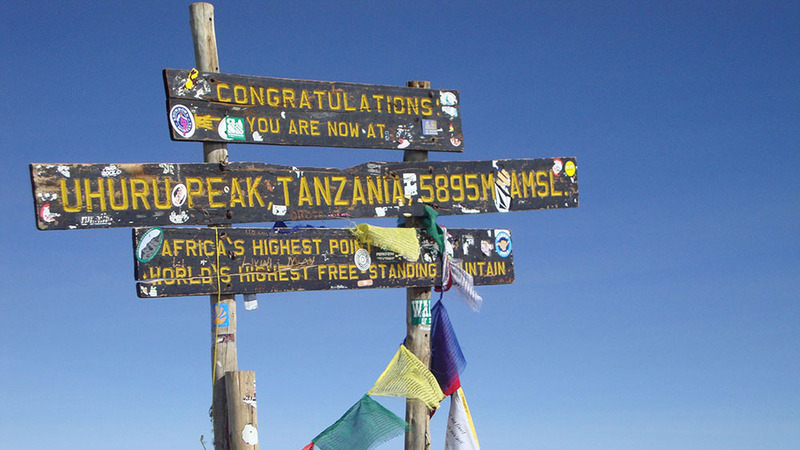 We continue the descent down to the Mweka Park Gate to receive your summit certificates. As the weather is drastically warmer, the terrain is wet, muddy and steep and we highly recommend Gaiters and trekking poles. From the gate, a vehicle will meet you at Mweka village to drive you back to your hotel in Moshi (about 30 minutes). Enjoy a long over due hot shower, dinner and celebrations!! 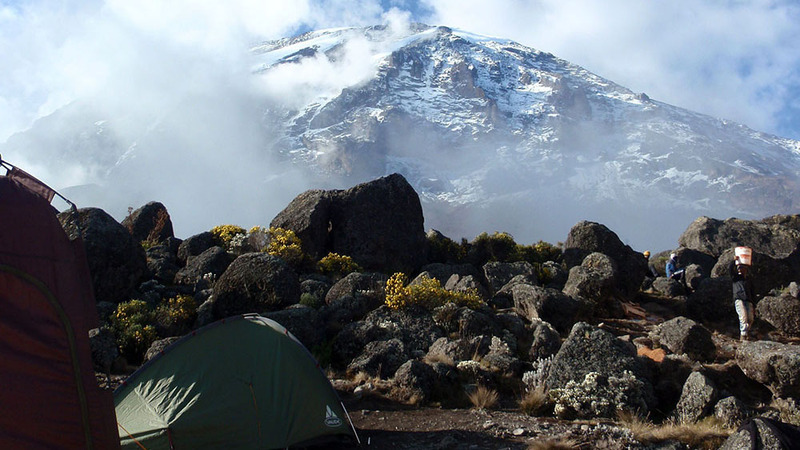 Overnight Kilimanjaro Wonders Hotel 4 stars B&B. before being transferred to your journey home, safari or relaxing trip to Zanzibar. We believe the tourism industry has an obligation and a great opportunity to protect the world’s natural habitats, cultural heritage sites and communities. We actively promote environmental sustainability and social responsibility. 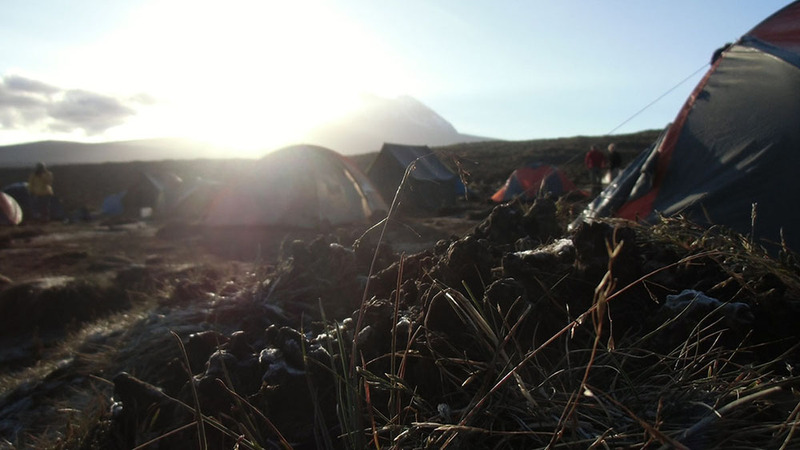 The Kilimanjaro Porters Assistance Project, (KPAP) an initiative of the International Mountain Explorers Connection, (IMEC). 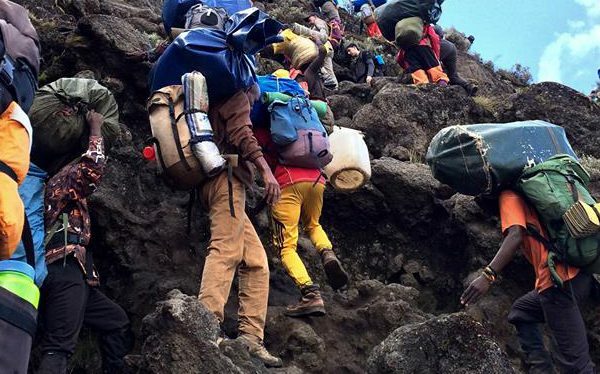 KPAP raises public awareness regarding the proper treatment of porters on Kilimanjaro and assists climbing companies with implementing procedures that ensure fair and ethical treatment of their porters. Every climb is audited to ensure crewmembers are provided proper salaries, tips, food, equipment and sleeping conditions. We think it’s pretty great and our clients do as well, check out our Tripadvisor profile to see what people are saying about us. 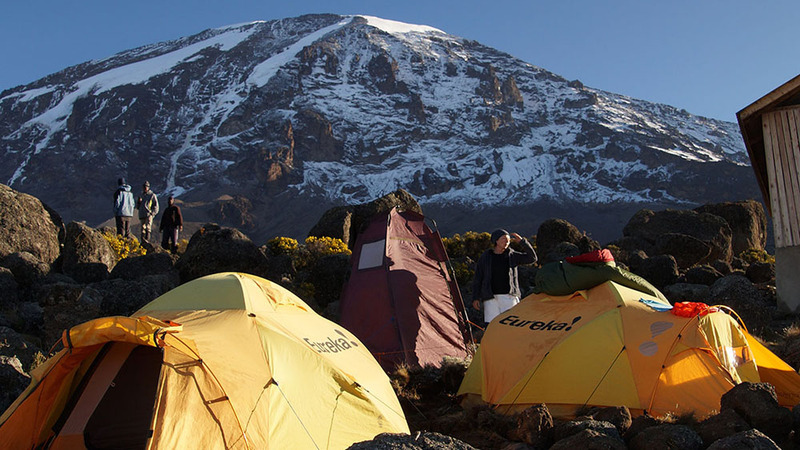 Personal hire gear such as trekking poles, sleeping bags, etc. Group Discounts apply to 6 or more people is 5% only.